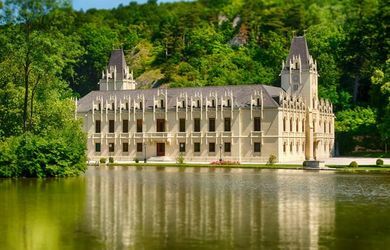 The Convention Office from Lower Austria is an information- & coordinationcompany for Tourism in Lower Austria! The Steinschaler Doerfl as a conference venue has 9 meeting rooms totaling 900m² for 350 people in the largest room. The conference hotel has 100 rooms and is located in Frankenfels / Lower Austria. The Wildkräuterhotel Steinschalerhof as a conference venue offers 10 meeting rooms totaling 600m² for 240 people in the largest room. 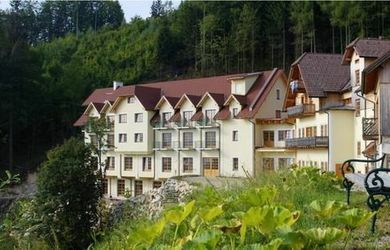 The conference hotel has 60 rooms and is located in Rabenstein / Lower Austria. 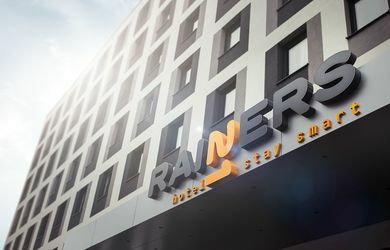 Hotel Rainers21 offers 6 conference rooms, altogether 279qm, for 135 people in the largest room. 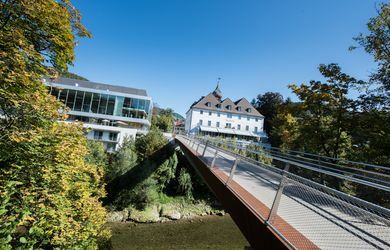 The conference venue has 172 rooms and is situated in Brunn am Gebirge. The event venue Schloss Rothschild offers 7 function rooms on a total of 530m² for 200 people in the largest room. 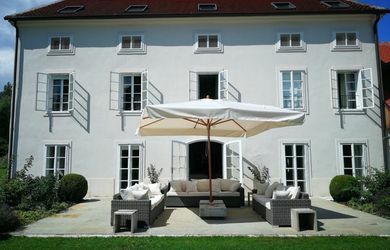 The event venue is located in Waidhofen / Lower Austria in offers up to 100 hotel rooms in the vicinity. 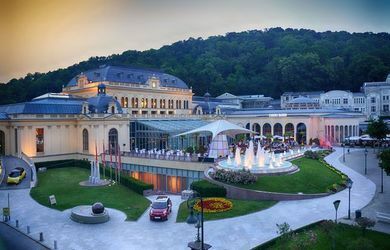 The event venue Congress Casino Baden (Lower Austria) offers 7 conference rooms totaling 1500m ² / 520 people in the largest room. The event venue is located in Baden bei Wien, 25 km to Vienna. 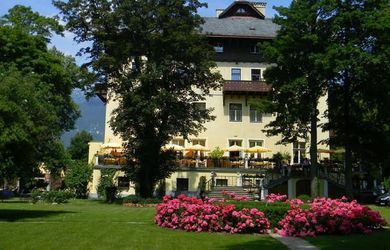 The Hotel Landhaus Moserhof as a conference venue has 3 function rooms totaling 165sqm, for 40 people in the largest room. The conference hotel has 21 rooms and is located in Gumpoldskirchen / Lower Austria, 25km south of Vienna. The Hotel Schneeberghof as a conference venue has 5 meeting rooms on 358sqm, 110 people in the largest room. 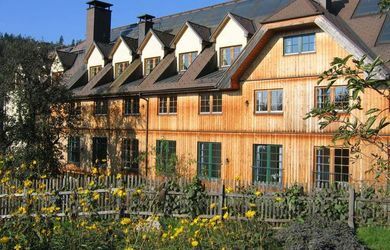 The conference hotel has 71 rooms and is located in Puchberg am Schneeberg. The Refugium Hochstrass, as a conference hotel, has 6 conference rooms, altogether 289m ², for 40 people in the largest room. 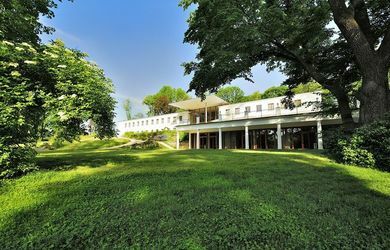 The conference venue has 40 rooms and is situated in Stössing - between the Wienerwald and the Mostviertel. 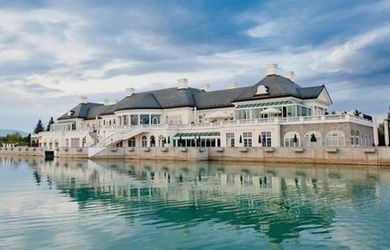 The LOISIUM Wine & Spa Resort Langenlois as a conference venue has 5 meeting rooms on altogether 234sqm, 120 people in the largest room. The conference hotel has 82 rooms and is located in Langenlois / Lower Austria. The Hotel Schlosspark Mauerbach (Lower Austria) offers 16 conference rooms totaling 2500m ², 420 people in the largest room. The conference hotel has 86 rooms and is located in Mauerbach, about 8km from the city limits of Vienna. The Hotel Marienhof as a conference venue offers 9 meeting rooms on altogether 35sqm, 200 people in the largest room. The conference hotel has 45 rooms and is located in Reichenau a.d. Rax / Lower Austria. 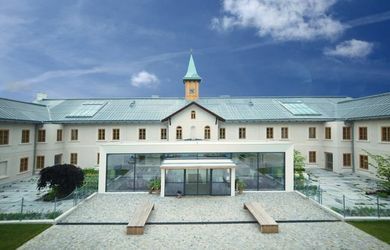 The Hotel Schloss Weikersdorf (Lower Austria) has 9 conference rooms totaling 662m ², for 200 persons in the largest room. 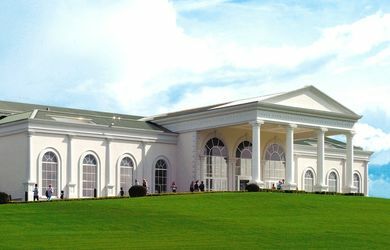 The conference hotel has 164 rooms and is located in Baden near Vienna. From the city limits of Vienna, the conference hotel is approximately 20km. 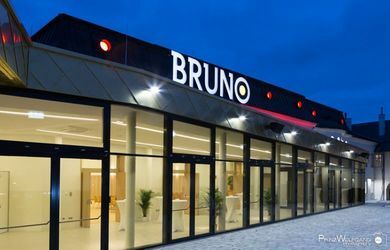 The event venue BRUNO offers 2 function rooms on a total of 525m² / 500 people in the largest room. The event venue is located in Mödling / Lower Austria, 25 km to Vienna. The Greenwell as a conference venue offers 7 meeting rooms on 326m², for 40 people in the largest room. 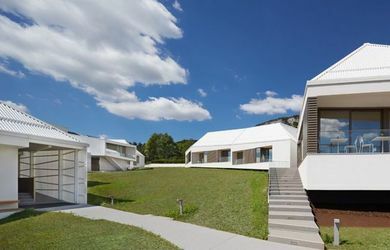 The conference hotel has 30 rooms and is located in Stollhof at the foot of Nationalpark Hohe Wand. The Refugium Bergmühle offers a big range of possibilities - use it as an event location, for meetings, for overnight stays in a design hotel or as an open-air location in the garden in a tent for up to 120 people. 4 conference rooms for 125 people. DAS REINISCH Hotel & Conferences Vienna Airport as a conference venue offers 4 function rooms spread over 181sqm. The conference hotel has 123 rooms and is located at Vienna Airport in Schwechat / Lower Austria. The MAGNA RACINO offers 11 rooms, altogether 90.000qm, for 900 people in the largest room. 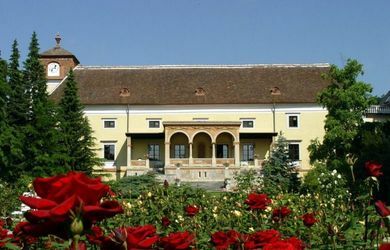 The event venue is situated in Ebreichsdorf, Lower Austria. The Seminarhotel Schloss Hernstein offers 24 function rooms totaling 1487m ², for 200 people in the largest room. 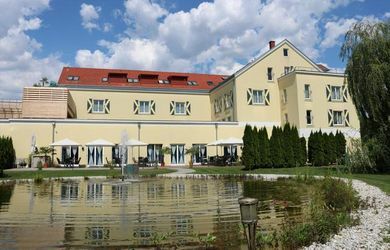 The conference hotel has 74 rooms and is located south of Vienna in Lower Austria. From the city limits of Vienna, the popular conference hotel is approximately 35km. The Steigenberger Hotel & Spa has 6 function rooms and conference rooms totaling 404m ², for 170 people in the largest room. 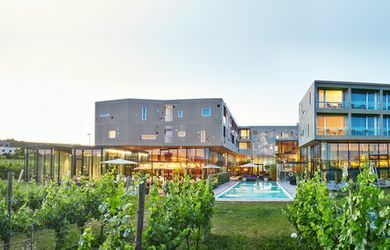 The conference hotel has 141 rooms and is nestled in the idyllic vineyards above the town of Krems. From the city limits of Vienna, the hotel is approximately 90km. 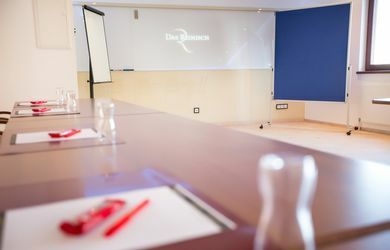 The Diamond City Hotel,offers 2 conference rooms, altogether 82m ², for 75 people in the largest room. 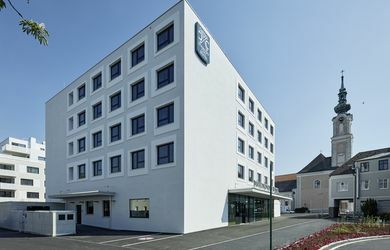 The hotel offers 78 rooms and is situated directly in the center ofTulln.